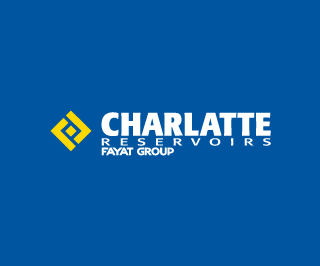 CHARLATTE has been the world leader in hydro-pneumatic tanks since 1961. This speciality has made "a Charlatte" a generic trademark. The company exports to over 80 countries all around the world. These exports represent over 75% of turnover. An efficient after-sales division and on-site support from specialised technicians completes the wide range of products and services proposed. The majority of our production consists of pressure tanks with and without bladder for drinking water, raw water, waste water and irrigation. We can also design special tanks. Our products are developed to reinforce protective systems for water supply networks. Our technical department is dedicated to working with our customers and partners to be in a prime position to provide a quality product as quickly as possible and at the best price. Founded in 1957, FAYAT, an independent, family-run firm, has become a major player in the construction and industry sectors. Today, FAYAT is a well-known name in the fields of civil engineering, construction, metal construction, electricity and industry thanks to designing and manufacturing road equipment, lifting equipment and boiler-making equipment. The company has the production and lifting resources to make large capacity tanks, up to 63 tonnes.